A six-days, five-night exclusive tour to Bukit Lawang and Lake Toba. Pick up from Medan airport or hotel, journey (around 3 hours) to Bukit Lawang. Relax after journey and stay overnight in Bukit Lawang. day three in the morning you will wake up again to the sounds of the jungle. If you are lucky you can observe the Sumatran monitor lizards, tortoises and colourful river butterflies around the campsite . After a good breakfast you have the opportunity to trek again for 2 hours or just relax and swim in the river next to the campsite (when going back by tube). After a light lunch its time for you to return to Bukit Lawang. And that is around 1 hour full of fun! Because your “jungle taxi” with your personal captain will bring you back to your guesthouse by traditional tube-rafting down the Bohorok River, and you will stay over night in guest house in Bukit Lawang. Leave to Lake Toba after breakfast (the journey takes around 8-9 hours) During the journey you will stop at the waterfall Sipiso-piso, where you can enjoy a spectacular view from the top of the hill. Continue journey to Lake Toba, where you arrive at late afternoon, then cross to Samosir Island, where you stay overnight. The following morning after breakfast start the tour around Samosir Island. Visit the Ambarita village, then Simanindo to see Batak museum and Batak traditional dance performance at 10:30 am. After the performance visit another village to see sarong/ulos or Batak blanket maker. You can stop for lunch before back to the accommodation in the afternoon. 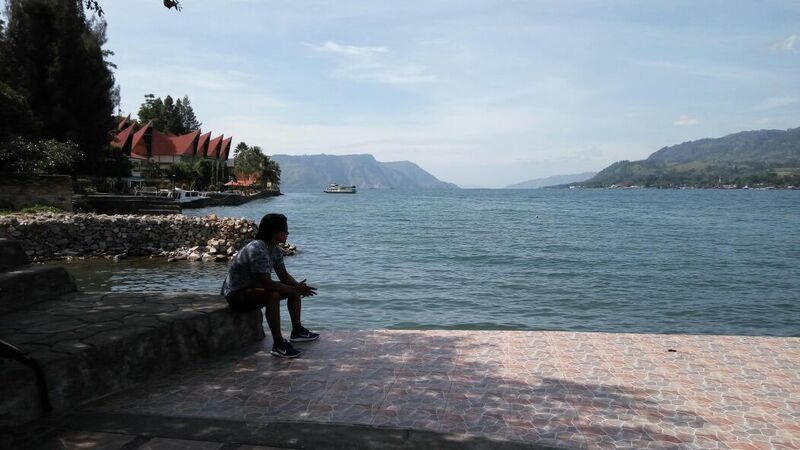 After the tour take a rest or swim in the lake on your last day at Lake Toba. Private car transport to Medan airport or hotel and journey takes around 5-6 hours. Transportation between Medan – Bukit Lawang – Lake Toba – Medan. Two-night accommodation in Bukit Lawang with breakfast. Two-night accommodation in Lake Toba with breakfast. Tour around samosir island by ferry. two-day jungle trek in Bukit Lawang (breakfast 1x, lunch 2x, water, fruits, dinner 1x, tube rafting included while during the trek). Permits (PHPA office) to enter the national park/camera tax (150,000,Idr). Fully licensed English speaking guide. Tour guide fee,entrance fees,tax,ferry ticket. Porter to carry your luggage from the bus station to the accommodation..
Bukit Lawang : Ecolodge, Rindu Alam Hotel, Garden inn, Jungle inn. Bukit Lawang Indah. Lake Toba : Tabo cottages ( Toba suite, Batak villa, junior suite), Samosir cottages.